Required to create effective business reports but have no clue what information to include? The truth is that making great reports can be hard. However, if you're interested in creating a great report, the key is to not get overwhelmed and simply focus on what really matters (profit). When you keep your eyes on the mountaintop, you make the right decisions that can move your business forward. Once you follow these best practices, you can design an effective report that gives you value and grows your business. For the sake of example, enjoy the Clear Media annual report 2014 that won the Red Dot Design Award for communication design. 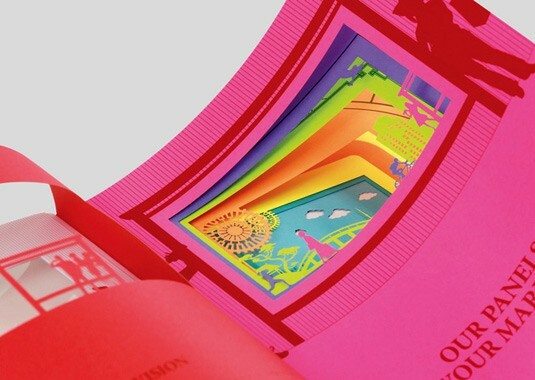 Admit it, presented in the form of a colorful book topped off with an acrylic film on the cover, it looks just awesome. Here are 10 tips to learn if you want to avoid mistakes and create an effective business report that can draw your audience in for a good cause. Say, when you need to build a website on your own, you expect to find the most powerful website template specific to your needs. And that makes sense. Turning an effective business report into profit follows the same idea. Professional PowerPoint templates can be a difference in making the right decisions. In its turn, good decisions can contribute to your business success. That’s why to make good decisions, you need to present information using the right PowerPoint template. 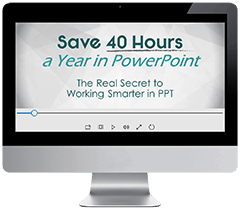 To stay ahead of the game use only high-quality PowerPoint presentation templates crafted by professionals. Thus, you can be sure that your business report enhances your professionalism, presents the ideas or makes a sales pitch to your target customers. Identifying your target audience is the first step to towards the creation of an effective business report. Otherwise, you may very well be wasting your time. Before you start, determine who the people are. Who are you presenting to, and how much do they know about the topic? If you know their needs, you know how to get to them. 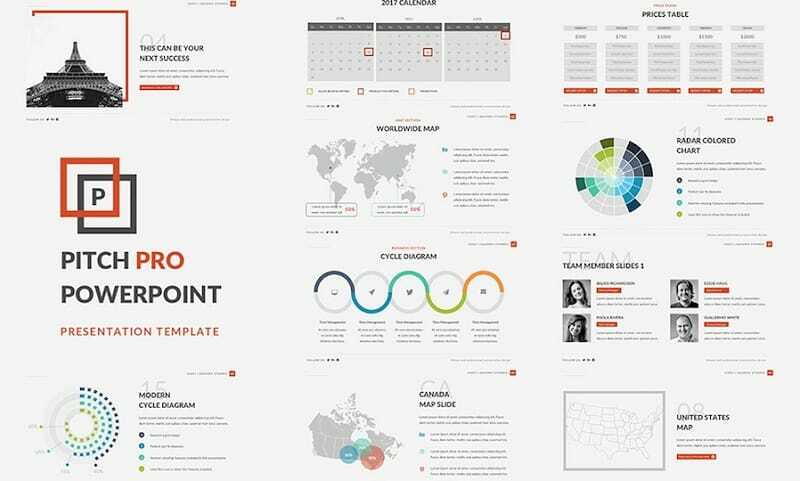 This will help you find the right PowerPoint template and focus on the core content to write it in a tone that suits your audience. Once identified the information your target audience wants to get, it’s your lucky day. It’s important to really know your audience so you can touch immediately on something shared with the audience. You can’t afford to waste their time with a report that isn’t perfectly focused on your target audience. Try to pinpoint what information your target audience needs to succeed. Once you can alleviate their pain (concerns and fears), your revenue will reflect it. You can create eye-catching PowerPoint presentation with lots of transitions and sound effects which in reality can distract the audience. Picture this: your report containing several effects and slide transitions runs on a computer or laptop which doesn’t support all those modern technological developments. To put it mildly, a business report full of such gimmicks can’t be the focus of attention. No matter how much time you spent creating your business report, the presence of low-resolution images, blinds, wipes, covers or splits will negate any of your efforts to make an effective business report. Remember, less is more. If possible, try to project your business report ahead of time to make sure the things perform correctly. Make sure you include the stuff that really matters. Don’t add facts or figures that distract you or your audience from making a decision. You need to be sure that your report’s data is accurate and reliable. Make sure that you always use business-critical data for developing useful and effective business reports. It’s not always an easy ride but you should effectively collect and manage it in order to build trust with your audience. Having accurate and reliable data for your business reports makes the decision-making process more efficient. Thus, it leads to a self-interest to ensure an effect of your report and improvement of the performance. To ensure your data is correct you need to use reliable data resources, better from more than one source. 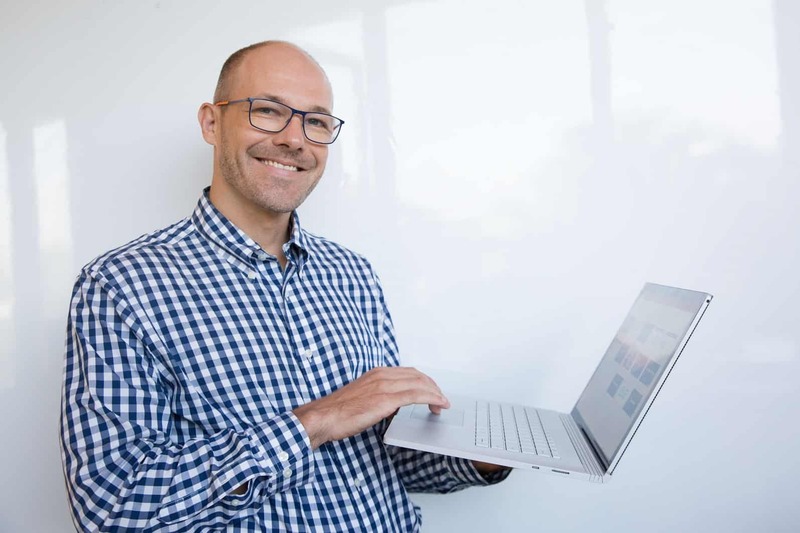 It’s great to use automated and computerized programs which can minimize a high risk of human error in losing efficacy of the data results. Thus, you stay focused on things that matter while the program records the accurate data for your report. With so different ways to present information, the best one is to keep things simple. Just ask yourself "Do I want to gain attention or shine with a pretty design?" Before you’re ready to present your report, ensure that it’s totally clean and simple. Don’t choose distracting backgrounds or poor color combinations. Create your own distinctive look which presents information in a clean yet effective way. Think of your report as a beautiful demonstration of the visions and values of your brand or company. 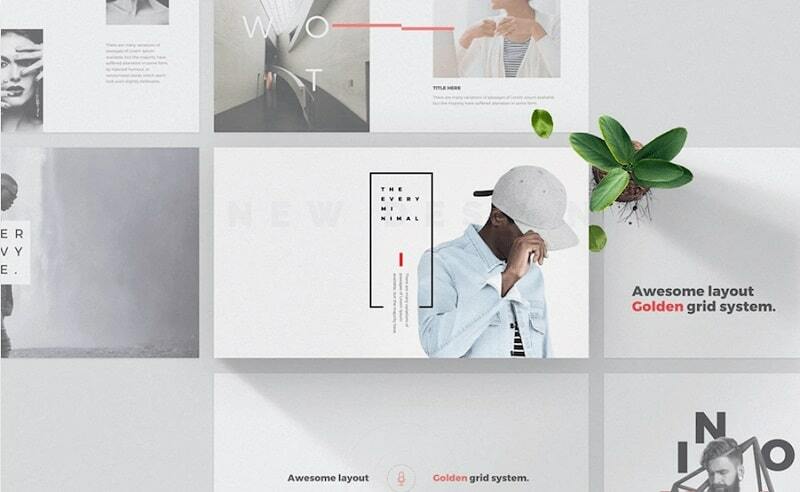 To hold user’s attention your business report should be designed in a way that helps audience notice what information is available and important. Choose visuals that are clear, uncluttered, and culturally appropriate for your target audience. Remember, the images you choose should reinforce the main content of your message, not just decorate your business report. Let’s clear up, your business report can’t be used as speaker’s notes. Don’t try to make one report do everything. Focus on one particular area of information at a time. So, make the meaning clearer. Include the elements that need to be included and avoid all other unnecessary things that can distract your audience. Keep your audience focused on a particular type of information. Design your ideas graphically without text-heavy sliders. Moreover, avoid copy-pasting of texts and paragraphs. Let your audience digest the key points of your business report. 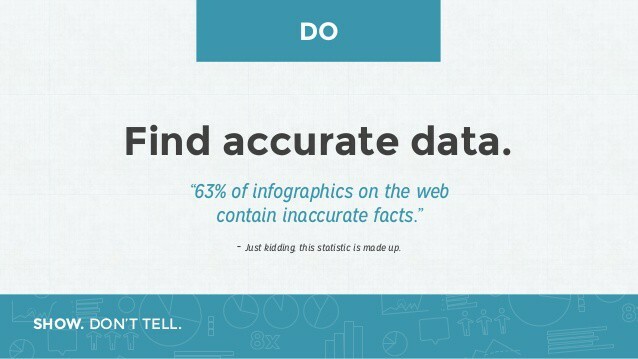 As a result, good infographics you can keep your audience focused. Do not simply display data but present it so your story is revealed to your audience. Keep the overall design consistent from page to page. Use visuals to support your key message. Thus, you can elicit an emotional response to make sure your point gets across. When creating effective business reports keep in mind that the content should be large enough to be read by every person in the back of the room. Think about it before presenting your report. Carefully select the fonts to provide a better readability on screens. Remember, size really does matter, and it depends on the context in which your presentation will be given. That’s why aiming for 30-40 font size is your best choice for presenting business reports effectively in a medium sized meeting room. When choosing fonts, remember that unusual fonts might not be legible at the distance. Get the best results with Sans Serif fonts, and try to limit the number of different fonts you choose to two - and no more than three - at a time. 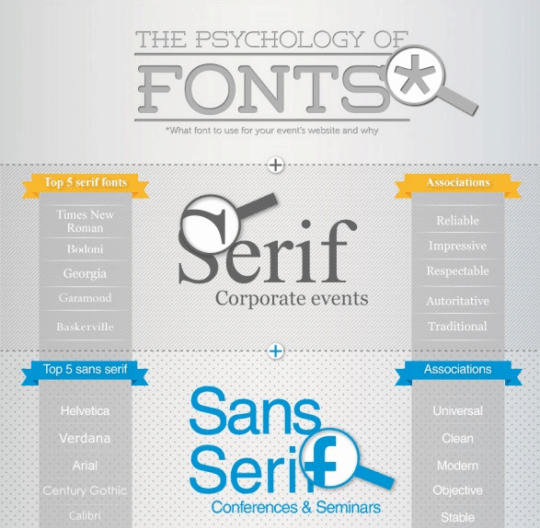 Typography offers a lot of creative possibilities but the business world prefers more professional fonts. Chose the font that benefits your message and desired look. Remember, inappropriate font can break your business report. Plus, avoid underlining, bolding and italicizing. This makes you report difficult to read. If the font you’ve chosen looks good, is easy to read and works well on screen, you can’t go far wrong. When it comes to effective business report presentation one zen presentation rule stands among the rest - The 10/20/30 rule of PowerPoint. The rule is quite simple and means 10 slides, 20 minutes and no font smaller than 30 points. This rule is applicable to any business report which aims to be successful. Yep, this can be a challenge. The good thing is that the time limit forces you to plan, articulate and get your story down tight. This best practice pushes you to focus on what matters and leads to more creative approaches. So, remember, you have time limitations to give your story/idea the best shot. Enjoy the infographics below and create a winning presentation for your business report. 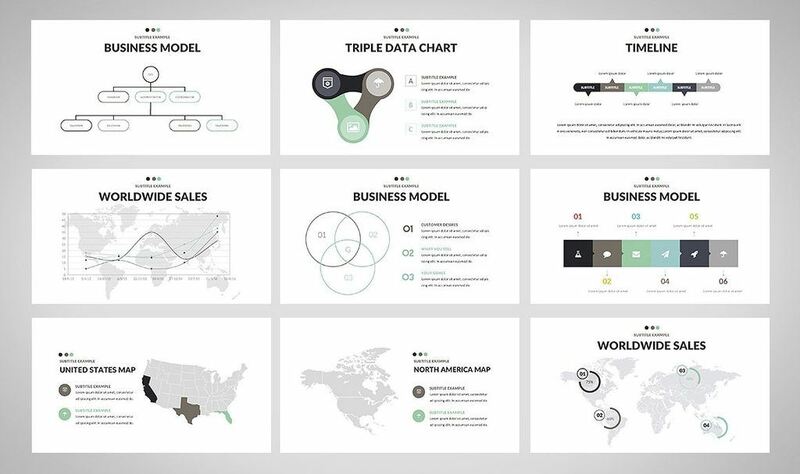 Let your business report include the optimal number of 10 slides just because it’s incredibly difficult to retain more than 10 concepts within a business meeting. Basically, it’s up to you to choose those 10 slides to get your points across. Ask thought-provoking questions. Let your audience solve the problem you identified, who will do it and what is the time-line of events. One more thing to remember - Life’s a pitch, so you’d better start practicing. To give your business report a polished and consistent appearance, don’t make a slide extremely busy. Break all your groups of point bullets on to separate slides. Every single slide gives you the opportunity to tell all your stories in different ways. If you don’t want your story to lost, make sure you communicate one idea per slide. 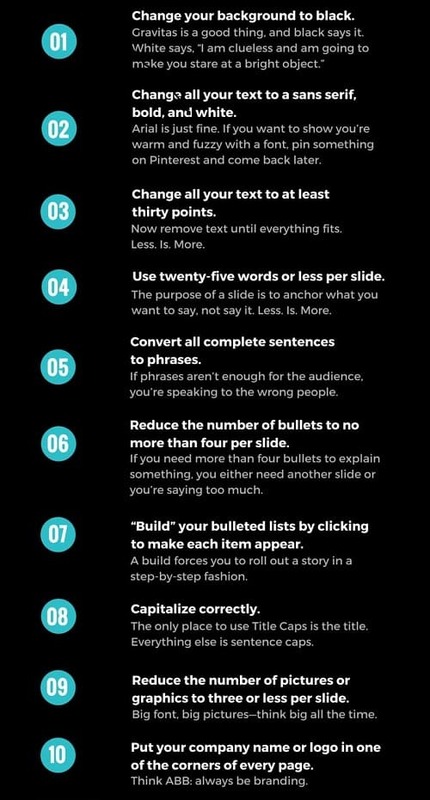 So, avoid overstuffing your presentation. Don’t make your audience struggle to figure out the key point of your talk. Go critically over every part of every slide and think carefully whether those elements are absolutely necessary. If you hesitate – just delete it. Hoping for the best by just projecting your charts on a slide? If so, your work will all be done in vain! Your story is the final tool which can guide your audience through your heavy data to marketing success. So make sure both visuals and words work together to tell a clear story leading your audience to the desired outcome. Let your story put the whole brain to work. We know you can do it. You know what makes your story even cooler? Well, when you’re done telling your story, just pause and let the audience react. Thus, you give your story the chance to work. This way you let your audience figure out what should be done about it. If you want people to remember what you said, try to wrap it into a story. Believe us, that works. Here we are. Now you know that even the most data-heavy business report can be presented more credible and visually compelling. The truth is that your data report can have a strong impact if presented correctly. 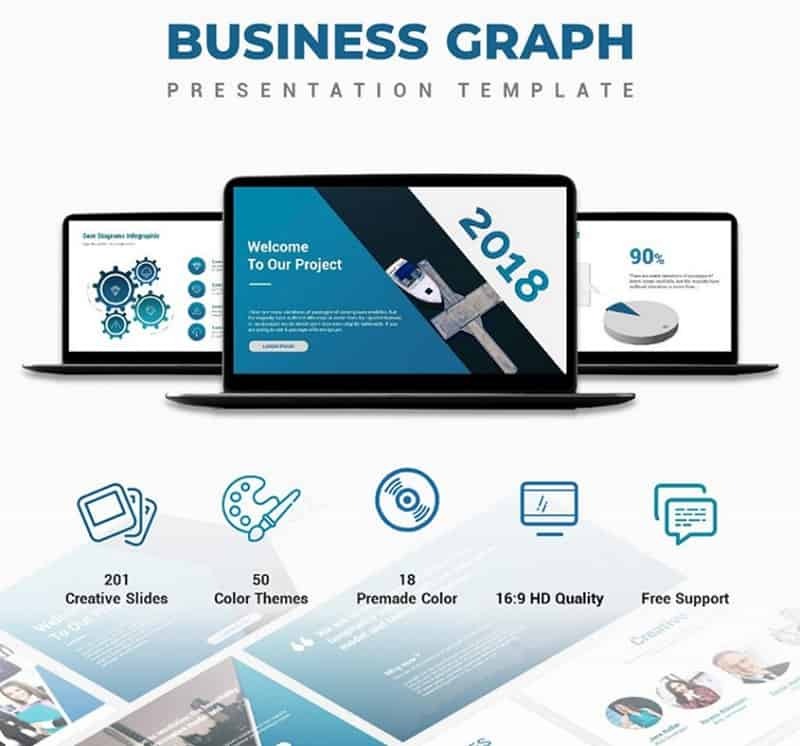 With the right PowerPoint template and plan, you can create remarkable and effective business reports. Just keep all these tips in mind and you’ll be on your way.